You can never be certain how people are going to react when you declare to the world that you really enjoy rolling needles into your face. Fortunately, after telling the tale of how I permanently removed my under-eye bags by way of derma-rolling (or micro-needling, as it’s often called), the response has been amazing and overwhelmingly positive—and many readers want to get in on the action themselves. We’ve gotten many requests for details on how to try it out at home. Which is totally valid, by the way—when you’re planning on trying something that hard-core, you probably want to know exactly what you’re doing. I get it! So we’re covering it all, with the help of celebrity esthetician and Stacked Skincare founder Kerry Benjamin. From the correct needle size to the serums you should be using, consider this your primer on all things micro-needling. Plus, keep scrolling to get a video tutorial. Let’s get things rolling, shall we? 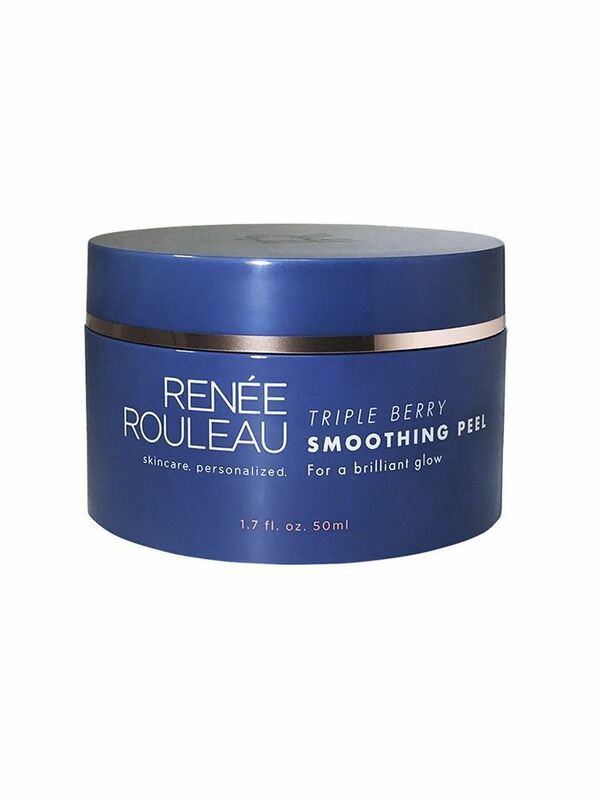 This makes it an ideal method for filling in fine lines and wrinkles, thickening and plumping the skin under the eyes (thus diminishing the appearance of dark circles and bags), and even plumping up lips. Micro-needling is also an effective treatment for acne scars and discoloration since it penetrates the skin so deeply. 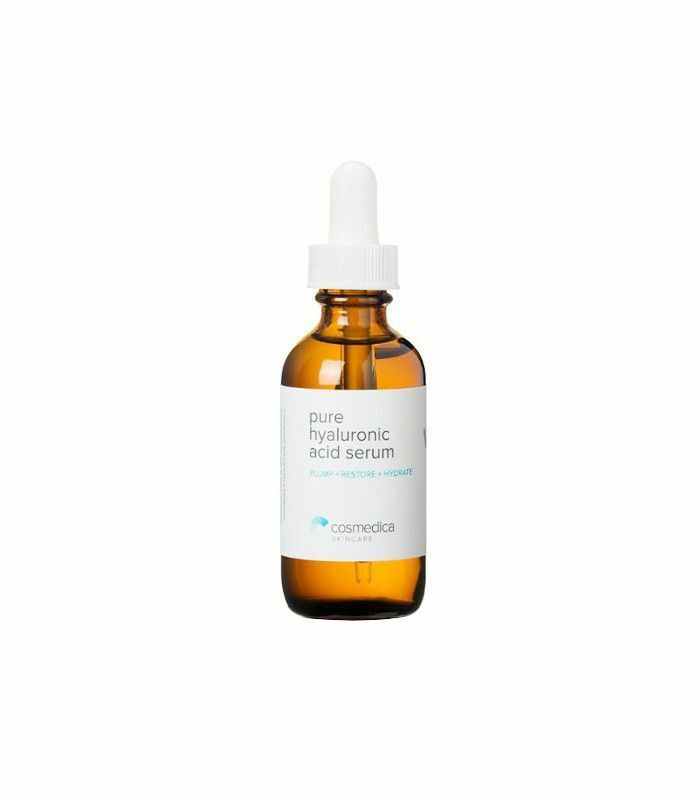 Plus, when used in conjunction with a serum (as it should be), it boosts ingredient absorption up to 90%. For a more intense, in-office treatment, many dermatologists use a derma-pen, an electronic micro-needling device that oscillates as it punctures the skin. These treatments often have immediate and dramatic results but also have side effects like pain and bleeding. They also tend to be very expensive. Fortunately, at-home derma-rolling is a much thriftier alternative that still gets great results with regular maintenance. It requires a much lower pain threshold, too. First off, make sure you’re sourcing one from a quality retailer. I’ve purchased great (and cheap!) derma-rollers on Amazon but would definitely suggest making sure it’s well reviewed and from a verified seller before making your selection. That said, Benjamin’s derma-roller is high quality and still quite affordable. The next thing you have to consider is needle size. Benjamin strongly advises only using 0.3 mm or lower, as anything thicker has a higher risk of damaging skin (especially on delicate areas around the eyes and lips). “If you want to do a deeper micro-needling treatment with a larger needle size, I recommend going to a professional,” she adds. Which serums should I use (and avoid)? “One of the main points of micro-needling at home is to really maximize the efficacy of your serums,” says Benjamin. 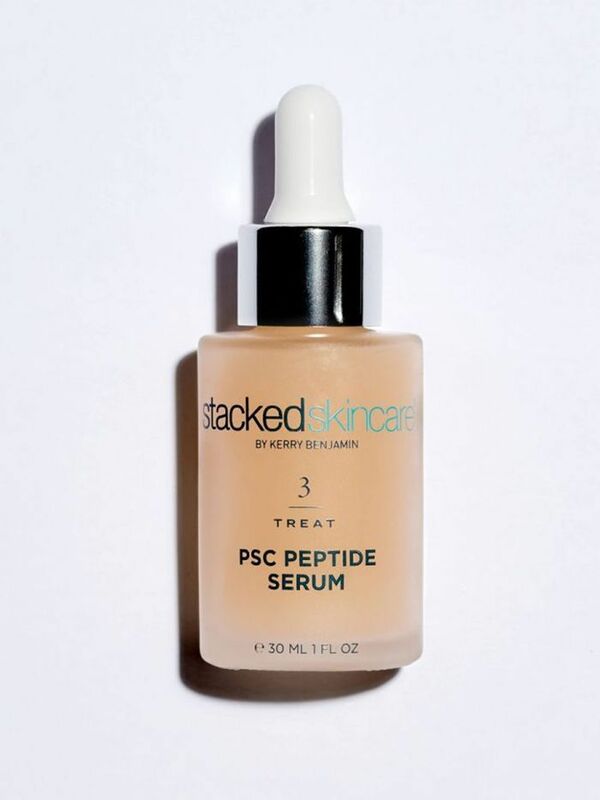 Still, she notes, “It’s really important to buy the right serum with the right active ingredients to get the most benefit and also cause no adverse reaction.” That means embracing some ingredients and steering clear of others. Benjamin recommends choosing formulas that contain ingredients like hyaluronic acid, stem cells, peptides, and growth factors. 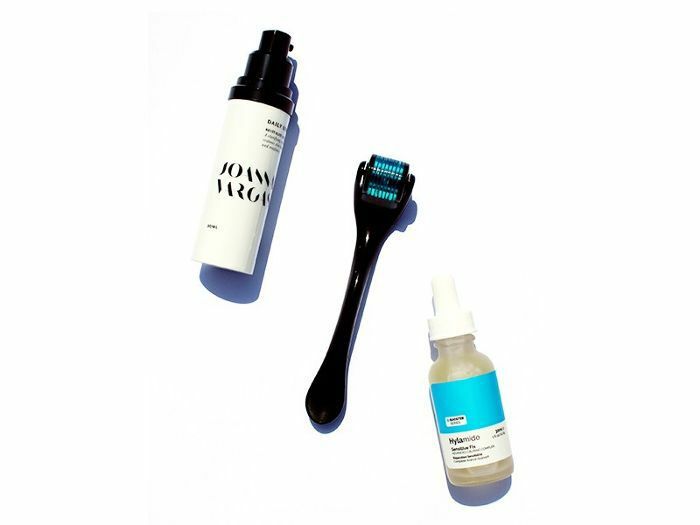 “These are the types of ingredients that will really maximize the effects of micro-needling to stimulate collagen, speed up cell turnover, lift hyperpigmentation, smooth out fine lines, firm, plump, and hydrate,” she says. On the other hand, active ingredients like retinol and vitamin C are no-nos—they can cause sensitivity to begin with, and using them in tandem with micro-needling is a recipe for irritation. I have everything I need. How do I start derma-rolling? Prep your skin by cleansing and then exfoliating with a gentle chemical or fruit enzyme peel—this second step helps you really get the most out of the micro-needling by increasing ingredient absorption even more, though I’ve also skipped exfoliation with good results. After finishing, add a second layer of serum. If you aren’t overly sensitive to retinols, Benjamin says you can use them after rolling (though only at night). 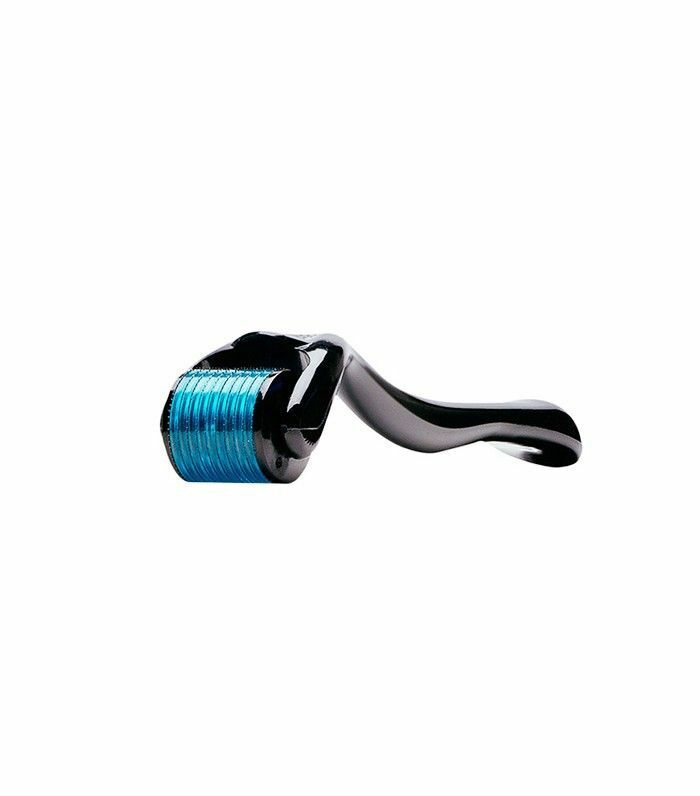 How do I take care of my derma-roller? After using, cleanse your roller with rubbing alcohol and store it in its plastic case. Also be sure to replace your derma-roller often—once a month, if you’re using it several times a week, or after about 10 to 15 uses. Next up: The daily routine to follow for every single skin type.